General Life Biotechnology Co., Ltd. is founded in 1999, and joined Compal Group in 2015. We also built our own brand, BeneCheck. Our goal is to become the expert in Multi-Function. We dedicated ourselves to research, development, and manufacture multi-monitoring systems. We apply electrochemistry and screen printing techniques to our products, which makes our monitoring systems accurate and efficient. Through this path, we also acquire multiple patents and certificates, namely, CE, TFDA, CFDA, KFDA, etc. 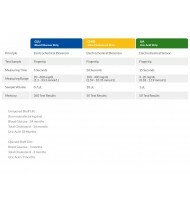 Regarding to GLB’s advance technology, we provide comprehensive monitoring systems for professional and lay users. 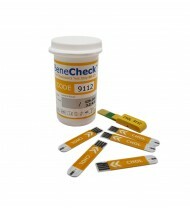 Our monitoring systems include multi-function meters and superior strips. 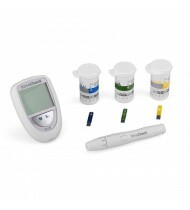 So far, our users could check their Glucose, Total Cholesterol, Uric Acid, and Hemoglobin level in just a blink. We also provide user friendly functions, for example, Auto Strip Recognition, Ejection Function, Bluetooth, and PC link. 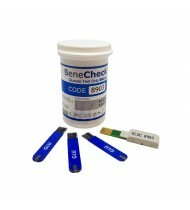 10 x Benecheck Total Cholesterol strips.Compatible Devices:Benecheck Plus.Benecheck GLU Plus.Beneche..
50 x Benecheck blood glucose test strips.Compatible Devices:Benecheck Plus.Benecheck GLU Plus.Benech..
BeneCheck PLUS Multi-Monitoring System is just like your personal doctor at home. You can check ..